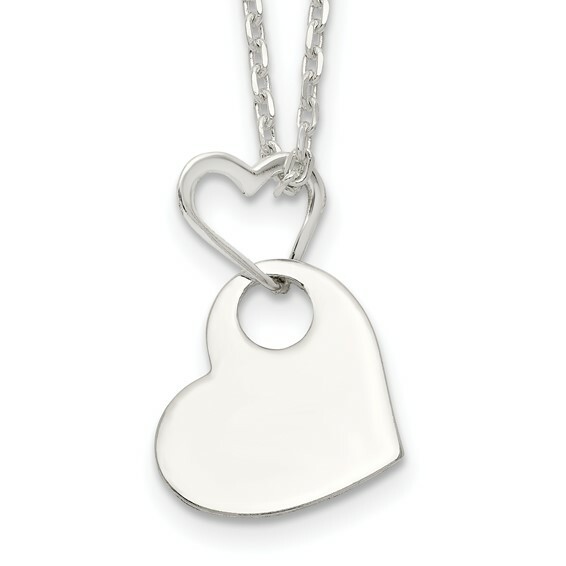 Dangle heart charm necklace is made of polished sterling silver. Length: 16 inches. Weight: 5 grams. Lobster clasp. Heart dimensions: 5/8 inch tall by 5/8 inch wide. The heart is smaller than a dime.